Here at Suburban Furniture, we already have the best prices around, but we’ve decided to take an extra step to save you even more money with our Extreme Value Center! We’ve got amazing prices on everything from living room sets to bedroom sets to dinettes! Have a look below, then come by and find your new perfect piece of furniture! Posted on June 20, 2014, in Brands We Carry and tagged best furniture prices nj, furniture in nj, furnitures sales nj. 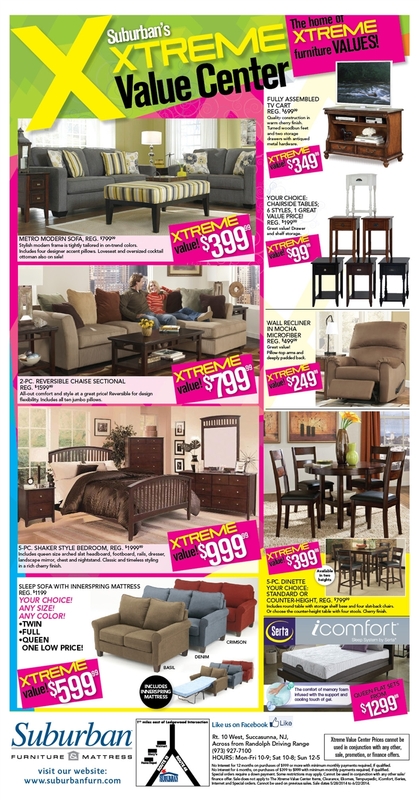 extreme value furniture, suburban furniture nj. Bookmark the permalink. Leave a comment.